IDEA #82. Go to a library or a newsstand or bookstore and pick out and read from cover to cover a magazine about a place that you might want to visit or live in some day. 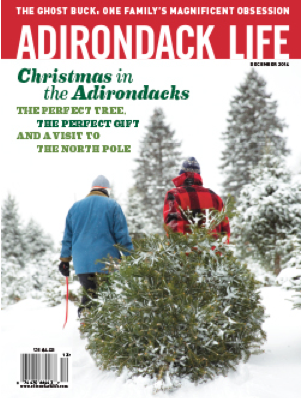 Examples are New York Magazine, Arizona Highways, Cape Cod Life, and Up Here (about far northern Canada). There is a magazine for practically every city and region in the United States as well as for nations and cities outside the United States. Get yourself interested enough to think about planning a visit there some day. If one cannot always travel to a new place, it is fun to imagine what it might be like to be there. 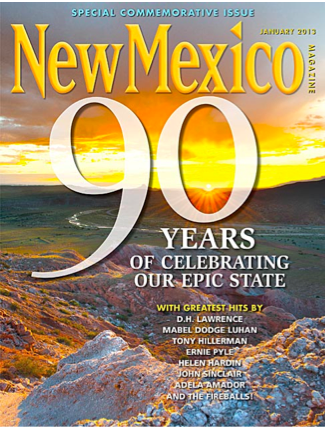 Some “place-based” publications—New York Magazine, for example—are primarily intended for those who already reside in and are familiar with their eponymous location, while others—like New Mexico Magazine—are “destination” publications, filled with enticing material designed to coax readers into visiting or moving. Readers of these magazines should be looking carefully not only at the articles but also at details of content like advertisements, including even the smallest. What is the appeal of this place? How do those who live in and like the place present its “story”? What are some common graphic themes—colors, symbols–and images that readers are intended to associate with the place? What can be learned about the economic life of the place—real estate prices and the types of jobs or economic activities to be found there? In the same vein, what can we learn about the cultural opportunities and activities in the place? Does the magazine focus any particular aspect of the fine arts or other cultural features in music, theater, or folk traditions? Is there anything about food that looks interesting or unique; are particular aspects of culinary heritage represented that may stem directly from the history of people who live there or who have immigrated there? What would make you want to visit the place on vacation or perhaps even move there? Does the place look as though it would be fun for children, or does the magazine focus only on adult-oriented subjects? In the United States a fifth of the population moves every year; consequently learning to “read” a place and its culture is a valuable skill; a young reader can start mastering this skill by reading about a place. Specialized magazines focusing on a particular area have proliferated in recent years, and for the thinking child learning how to read cultures with skill and in detail is a skill well worth having. IDEA #76. Find an old or historical map in a book or at a museum or library and spend some serious time studying it—then compare it with a modern map of the same place. What features do you see? How has the place changed over the years? What theories can you come up with as to why these changes have occurred? Maps are not only informative but also beautiful, and old maps, especially those made in the days before modern printing technology replaced the human mapmaker’s steady hand and designer’s eye, have a seductive force. A map is above all the graphic representation of a place, and fine ones can evoke that place through detail and color; even a modern highway map has the power to suggest both flow and movement and the nature of human settlement patterns accommodating themselves to nature. A good library will have plenty of atlases and other books containing maps, and some may even have a separate collection of maps. If no hand-drawn antique is available, find a pre-World War II National Geographic Society map and enjoys its wealth of detail as well as the extreme clarity with which the makers assembled the many elements into an information-rich thing of beauty. A modern map, even from the same source, is likely to show differences. Europe, for example, will have different borders and country names and even city-name spellings, while a map of your neighborhood or county will show new streets and roads at the very least. The force of history—the number and location of rail lines, for example, or the appearance of limited-access highways—will be clearly evident. To use maps comparatively in this way is to understand how humans perform one of our elemental acts: interacting with land. Since the beginning of history humans have felt a need to represent their presence and the presence of things they have created on the land. In addition, maps have always portrayed the resources humans need—rivers, oceans, forests—as well as the obstacles to the realization of aspirations—those same rivers, oceans, and forests as well as mountains and, since the rise of empires and nation states, borders. On a community or regional scale, a topographic map may explain why Main Street has such an odd kink or why the Center Line Road has such a prosaic and puzzling (center line of what?) name. Of course, any comparative analysis also expands map-reading skill, an essential ability even in the age of Global Positioning Systems. The individual who is able to make the leap between understanding two-dimensional representation and three-dimensional reality will always, literally and figuratively, know where he or she is, and, given a few clues from a map that correspond to what can be seen, he or she will be able to find the way home—even across boundaries of time and history.